March 27, 2011 by Alphageek in "alphageek", "review", "urbanspoon"
This is worth turning your head to take a look at in Costner's Cosner's Corner. We have been here several times, and have always come away glad that we ate here instead of some super crowded, half an hour wait, chain restaurant sort of place. We liked it so much, if you look over on urbanspoon, you would see that the Alphageek added the restaurant. Adding the restaurant gives us a chance to write a review of the deserving restaurant. Today, we had a couple of simple meals. You get the now standard chips and salsa to start your meal when you sit down, from the excellent staff. Mrs. Alphageek had the fajitas. 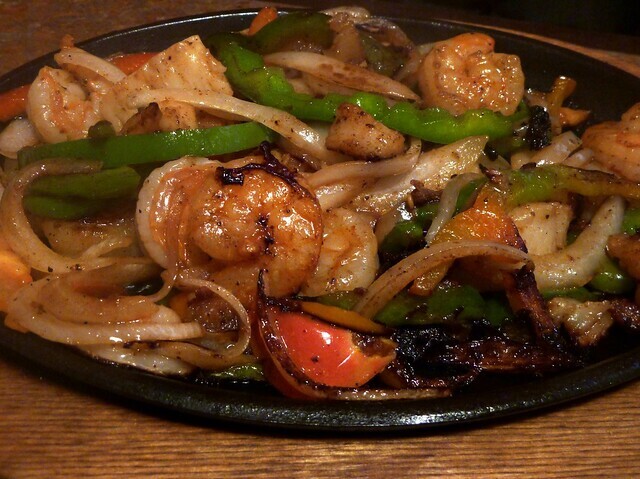 I guess technically, this dish is the Fajitas de Mar. She found it to be a great dish, and based on the shrimp she let me try, it was a very balanced, well seasoned and well prepared dish. My dish was pork gorditos. This dish appealed to me because the description listed slow cooked pork. 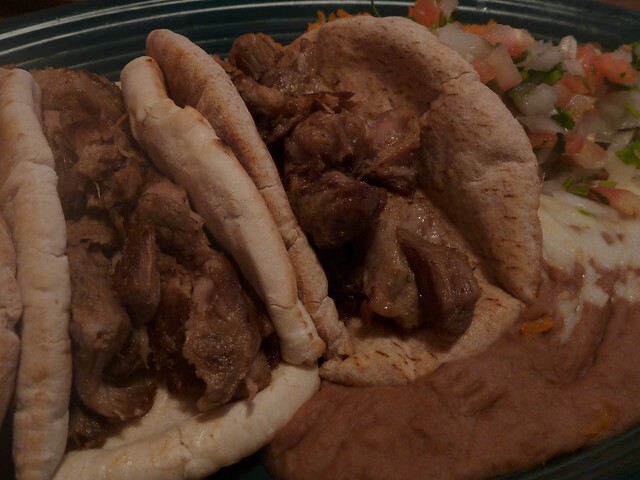 When the dish arrived, I was pleased to find three pitas generously filled with slow cooked pork that really hit the spot on a chilly day. I also found the pico de gallo to be a great addition. If you order this dish, make sure to ask for extra pico. I must have enjoyed the dish, because there was none left. I also looked around their web site. They offer some coupons, if you are the coupon type of person. Their menu is online as well, if you want to check things out before you head out. We like the fact that they offer more choices than the standard burrito, fajitas, and taco kind of choice.